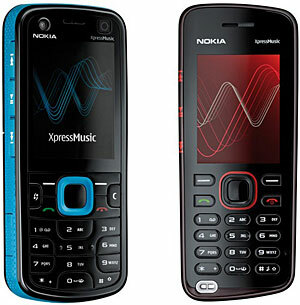 Currently slipping under doorways and out through cracks in the wall are shots of the new Nokia 5730 XpressMusic handset. 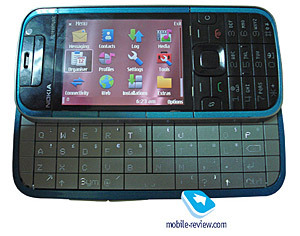 According to a comprehensive pre-release preview on the Mobile Review website, the mid-market Nokia 5730 will pack a full slide-out QWERTY keyboard, a two inch QVGA screen (240×320 pixels, 31×42 mm), 3.2 megapixel camera, GPS, EDGE data and Bluetooth v2.0 with support for EDR running on Symbian S60. 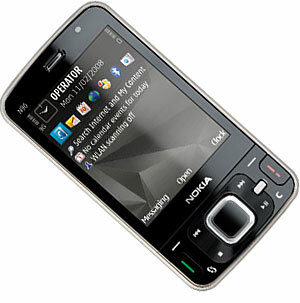 Nokia N97 Touchscreen Smartphone Set For March Release? Nokia’s keenly awaited N97 touchscreen handset looks to have its UK launch date confirmed, with the e-retailer Play.com posting up a pre-order page on their site. 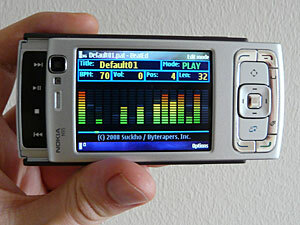 The site lists a release date of March 31st, 2009 for the Nokia N97 with a decidedly upmarket unlocked.sin free price of GBP 479.99 (US$707), with free shipping. 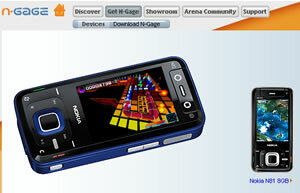 Continue reading Nokia N97 Touchscreen Smartphone Set For March Release? 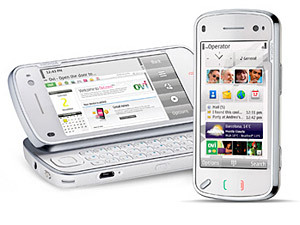 Posted on 19 January, 2009 Author Mike SlocombeCategories Cellular, Mobile, Nokia, Platforms4 Comments on Nokia N97 Touchscreen Smartphone Set For March Release? The latest research from stat-gorging boffins Gartner reveals that no less than 32.2 million smartphones were sold in the second-quarter this year – a figure that represents a fairly hefty 15.7% hike from the same period last year. As you may well remember, Nokia brought out the N-Gage games/phone back before 2003, following it up with the N-Gage 1.5, then the second generation N-Gage QD (June 2004). None of them really set the world alight. After buying Sega’s mobile gaming unit (2003), they finally got around to launching the service that let N-Gage owners buy games online in 2006. Currently enjoying a nice big synergistic hug and dreaming of a fast-filling cash trough are Nokia and Sony BMG, who have back-slapped themselves silly after striking a deal over the “Comes With Music” service. 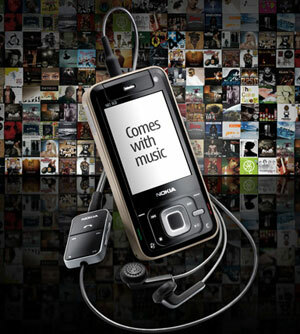 The deal will give punters with brand spanking new compatible phones a year’s worth of free access to the Sony BMG music catalogue, with pop-pickers (© Alan ‘Fluff’ Freeman) able to download tracks to both their mobile device and computer via the Nokia Music Store. Nokia knock out two new phones. We try to get excited. 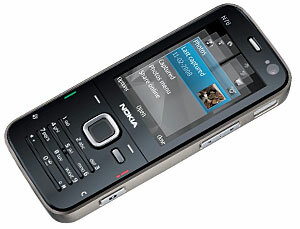 The Nokia 5320 comes in a classic candy-bar form factor and serves up the rather gimmicky Say and Play feature. This lets punters bellow a song or name of an artist into their phone, and the software will dutifully serve it up. There’s certainly no shortage of more useful features on board though, with the 3G phone offering a ‘full Internet browser for Web 2.0 access,’ dedicated XpressMusic keys, an audio chip for advanced sound quality, a handy 3.5mm audio jack, a 2.0 Megapixel camera with flash, HS-USB and microSD card support for up to 8GB. BeatEd Mobile Drum Machine For S60 Smartphones: For Free! Bus journeys could be set to get even more annoying with the launch of the BeatEd, a simple drum sequencer/ machine for Symbian S60 smartphones. The application offers an easy to use beat editor and the ability to change tempo and volume while playing, so you could really wind up granny on the Number 43 bus. Continue reading BeatEd Mobile Drum Machine For S60 Smartphones: For Free! 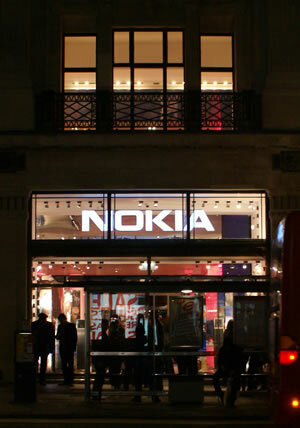 Last week saw the opening of the Nokia Flagship Store in Regent Street, London. It’s their first in the UK and eighth in the world, all following on from the December 2005 opening of their first in Moscow. The pre-opening night party was crammed with all sorts of funky music types, mobile world people and journos swigging the plentiful champagne and yummy nibbles.